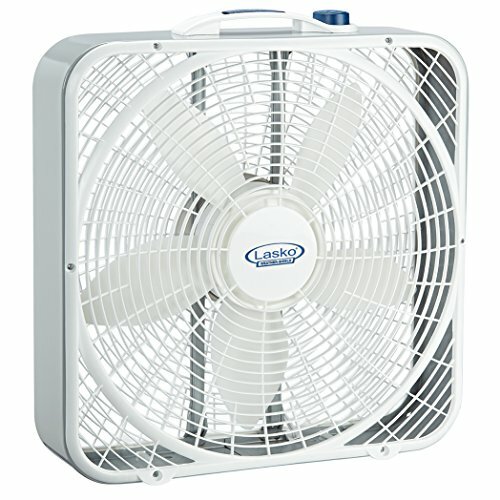 3 Quiet Speeds - makes this fan ideal for the bedroom, living room, kitchen, or home office. The quiet yet powerful motor provides a cooling breeze throughout the room. Save-Smart - means you'll pay less than $0.02 per hour to operate the fan. Combine this with up to 30% more air velocity and you have an energy efficient fan to use year round. Weather Shield Motor - allows you to use the fan worry free in an open window. Thanks to the weather shield motor you can leave the fan in place during minor rain. Innovative Wind Ring System - is designed to increase air velocity without increasing power consumption. 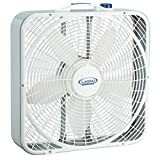 This allows the fan to circulate more air compared to traditional fans. Simple No-Tools Assembly - allows you to take the fan out of the box and have it working in seconds. Just clip the stabilizing feet onto the fan, stand up the fan, and it's ready to use.